(Source: FinalCall.com) - When news hit after the 2012 Super Bowl in Indianapolis that singer M.I.A. used an obscene gesture during the half time show headlined by Madonna, there were probably a lot of questions and likely some quick condemnations and recriminations about the lewd, crude side of hip hop and problems with today’s young people. Hold up, wait a minute, as the hip hop generation might say, there might just be more to this obscene gesture than meets the censored or uncensored eye. No civilized person would embrace and condone obscenity in the name of freedom of expression, which the Honorable Minister Louis Farrakhan explained long ago is not license to simply dump filth on the public or heap mud on a people already languishing in it. “While M.I.A. has offered no official comment on why she threw up a middle finger during Sunday’s Super Bowl halftime show, a source close to the rapper told ABC News Radio that her actions were caused by ‘adrenaline and nerves,’ a result of getting ‘caught up in the moment,’ and ‘weren’t an attempt to make any kind of statement,’ ” ABC News reported Feb. 6, the day after the single finger salute. 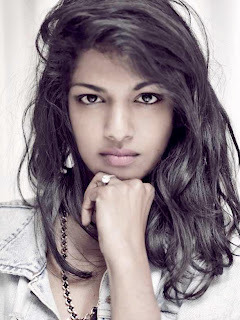 M.I.A, or Maya Arulpragasam, is a British-born singer who is also a member of the Sri Lankan minority Tamil group, which has struggled for independence and suffered inside the country. She has readily identified with the struggle of her people and gained fame with her 2007 hit “Paper Planes.” It was nominated for a Grammy award and an Academy Award as part of the Slumdog Millionaire movie soundtrack. Her voice was also used on hip hop rappers T.I. and Jay-Z’s single “Swagga Like Us” in 2008, which were lyrics sampled from Paper Planes.